Wind: Mostly from the NW. Comment: Slow day, few members. CLICK ON ANY PHOTO AND SEE ALL IN LARGE SIZE. Early morning began with phone calls cancelling flight schedules for several members, and several demo flights. Several members didn't cancel, just didn't show up. 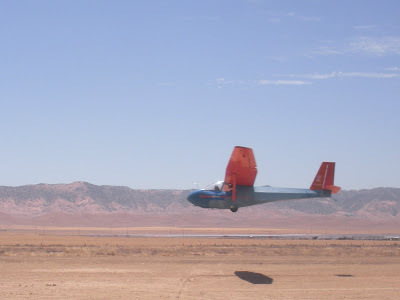 So it was an unusual day, very hot, especially directly on the runway, estimated to be about 120 deg from previous experiments conducted years ago. Early on, the lift was excellent, but about 2:30 pm, for some strange reason, the lift simply disappeared and in its place, deep sink. Suspicions are that the convergence moved east past the K-Hills and left us without even noticeable lift. 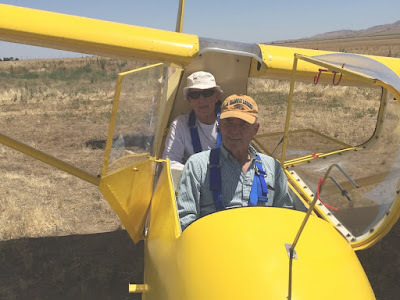 In fact, with Alex towing and my demo passenger, Jim Bell, and I in Big Bird, there were times during the tow when we were sinking at 400 fpm, going back down from 2400 msl to 2000 msl. The tow took what seemed like forever, and both Alex and I wondered at one point whether we should just abandon the tow and head back, maybe for another try later on in the afternoon. We continued our tow but I got off early at 2500 msl and found nothing but sink all the way back to the gliderport. Jim Bell was impressed with the ride but also disappointed at how short it was. Neiman Walker, who by this time had been aloft for two hours, also encountered severe sink and came back wondering where it all came from. I had two training flights scheduled, and three demo flights, but all cancelled except Clark Woolf and one demo at 2:00 pm. 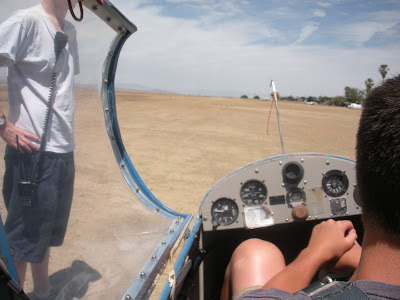 Clark Woolf and I flew two flights, one for stall practice and the second for pattern skills and decision making. Alex had a BFR series with John Harbick and that went off as expected. 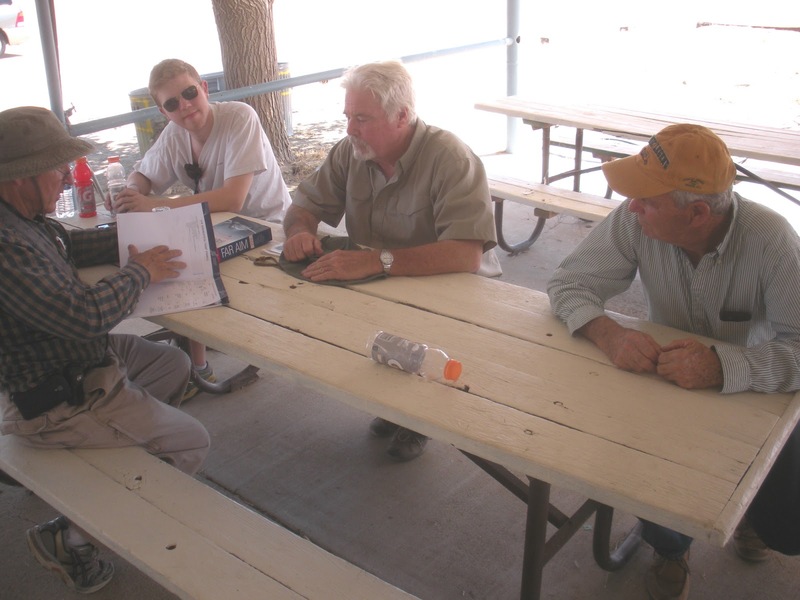 Rick Eason arrived early in his RV-9A and flew 4 pattern tows in the 1-26, then went home, hot and tired. Mario Pauda came out with his lovely wife, Blanca, and at first, Mario flew the 1-26. 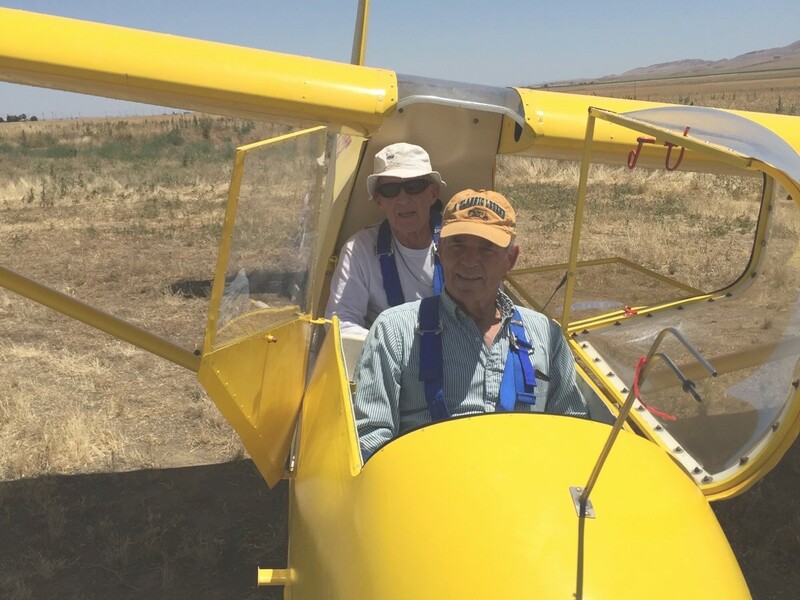 Later, he took Blanca up for a ride in the Orange Crush and that lasted a bit longer than expected because he got in the air shortly before the sink arrived in waves. Rick Eason ready to begin his series of pattern tows practicing in the 1-26. 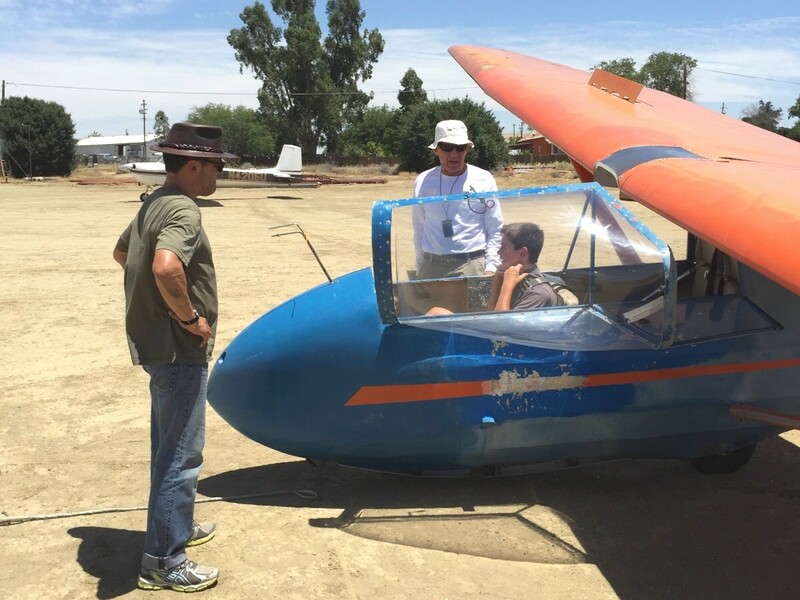 Rick is developing his proficiency at flying the 1-26 while his is being restored in Merced. 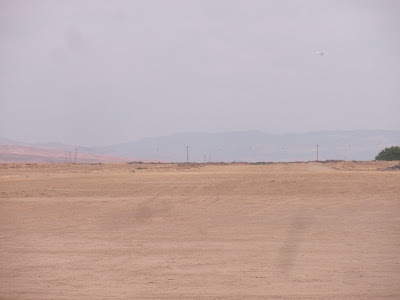 PG&E says that the little orange balls on the wires at the end of our runway are enough to protect them legally. It is likely that no one in authority at PG&E has ever had flight experience with the little orange balls. I can't see them from here, can you? Protection from what? Soaring Ravens? Clark Woolf waits to launch while Mario Pauda and Harold are standing by. 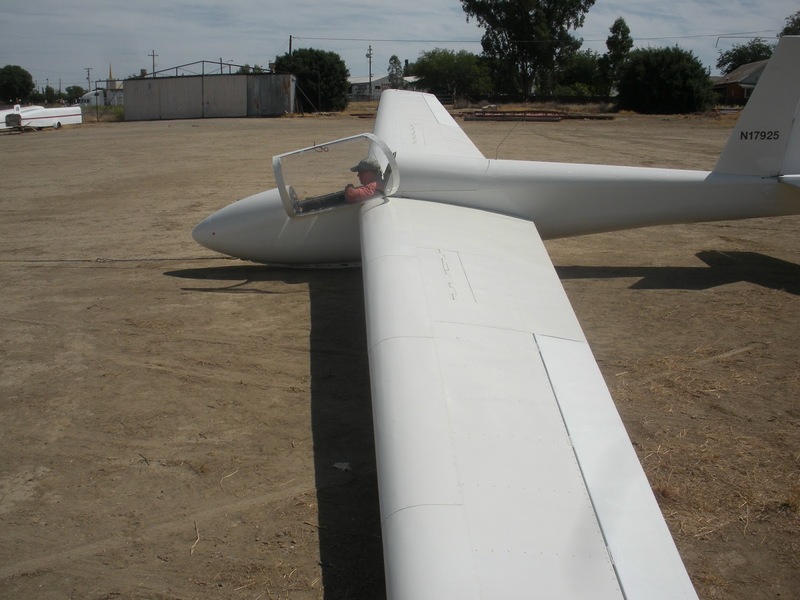 Clark Woolf ready to launch on his first flight of the day. Neiman Walker assisting. Clark now ready for his second launch, to pattern altitude, and completed it very successfully. 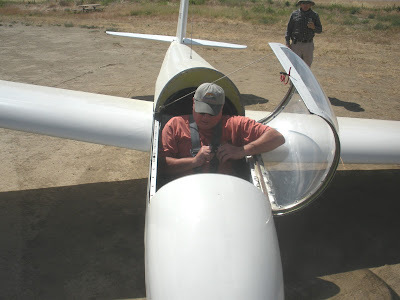 Jim Bell about to take his first glider ride and perhaps it will be the first of his training for a license. With Blanca in the front seat, Mario on tow past the clubhouse, departing on runway 13L. Mid afternoon, all gathering on the patio. Alex finishing the paperwork for John's BFR. Jim Bell is to the right. 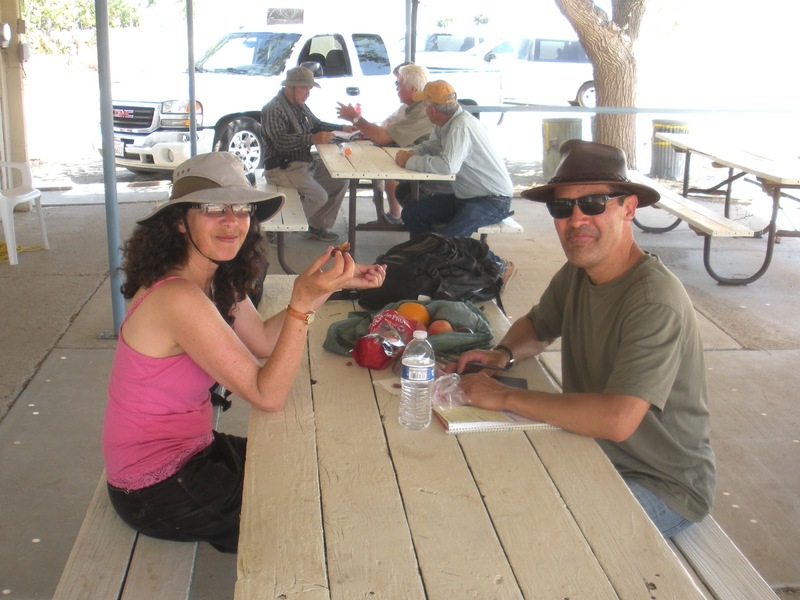 Blanca and Mario eating lunch, then Mario is going to fly the 1-26. They look cool, but it was darn hot. 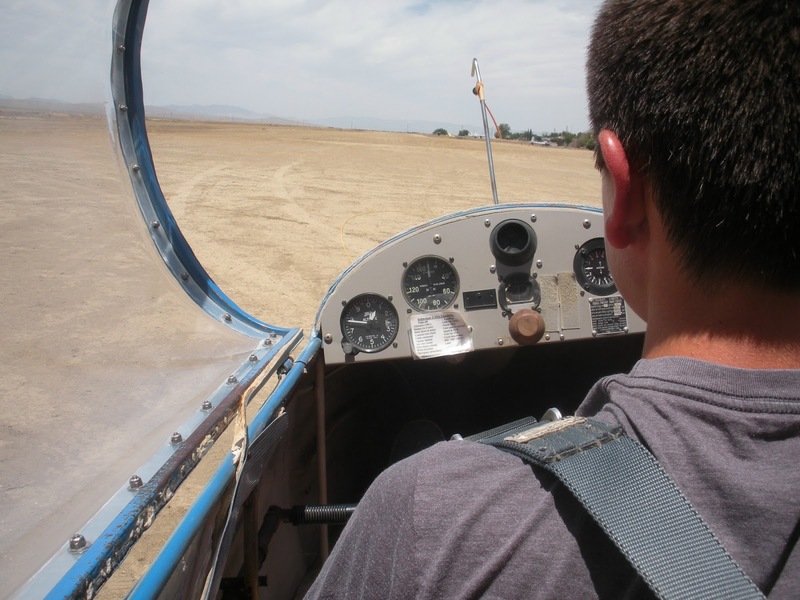 Maybe next weekend we'll see more members, and demo flights out here. It's supposed to be a bit cooler but we'll see about that forecast.